Some years ago I was invited to attend a football game at the “big house”. No, no, not the prison! The “big house” is the nickname of University of Michigan football stadium in Ann Arbor. The stadium is huge with a seating capacity for over one hundred and seven thousand spectators. I have never been so cold. I even went and bought a Michigan ‘hoodie’ in an attempt to get warm, but I digress…. 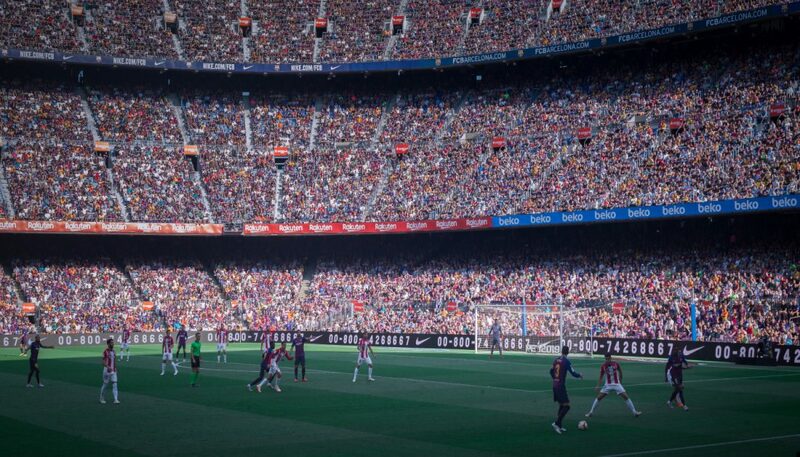 A hundred and seven thousand people in the stands all watching two small teams of eleven players each, plus three officials. That’s just 25 people providing the action – that’s 0.36%, or a minute fraction! Now, that’s great for a football game – as long as it’s warm – but is that a picture of what a local assembly is supposed to look like? I can almost hear the cries of, ‘of course not’! Right! That’s ridiculous, isn’t it? So why is there a great similarity between sport’s events and the local assembly? Frankly speaking, why are there so many spectators in the pews?? Without being critical or judgmental, what percentage of those who attend the Sunday morning meeting do you think are actively involved in the assembly? But how does the Word of God describe a local assembly? Well, it certainly isn’t pictured as a mass of people sitting watching a few do the work, is it? Christianity is not a spectator sport! The local church is described by various analogies in the Word of God; bride, building, family, etc. but one of the main ones calls the local church a body, a body whose head is Christ. We are told that every believer is placed in the body by the Holy Spirit and given gifts with which to function within that body! Now, following the analogy, when a human body fails to function in any part, immediate medical help is sought. When a major part fails to function it is given a descriptive name; words like paraplegic or quadriplegic – paralysis – are used to describe the fact that the body is not functioning beyond the minimum. Sadly, that is the state of many churches. Sometimes we see very large gatherings with lots going on, and mistakenly think that it is a ‘successful’ church. “Well”, you say, “I do give to the church!” Spectators pay to watch too, so that doesn’t work, does it? The fact is that every believer has been saved by grace through faith, indwelt by the Holy Spirit, placed in the body and given gifts to function! There are no exceptions and certainly no spectators. The local assembly is a team, a team whose captain is none other than the Lord Jesus Christ! Why, when we are supposed to be players, do we settle for being mere spectators? Maybe the cause of so much lack of involvement is that so few have actually enlisted? Can you imagine a soldier simply sitting on hillside watching his comrades fight against overwhelming odds, without actively joining in? This old hymn has some very challenging and pointed questions; how do we answer? Am I a soldier of the cross- a follower of the Lamb? Am I saved and serving? And shall I fear to own His cause, or blush to speak His name? Why am I afraid to witness? Am I exempt from giving my all for Him? Do I walk by faith to be for His glory? Are there no foes for me to face? Must I not stem the flood? Can God use even me? Is this vile world a friend to grace, to help me on to God? What in the world is there here for me? One glorious day we shall see the One who hung on Calvary’s cross for us face to face! How utterly tragic to be “ashamed before Him at His coming.” (1 John 2:28) It doesn’t have to be that way. Christianity is not a spectator sport-it is a warfare and we are soldiers under the Lord of Lords and King of Kings. Since I must fight if I would reign, increase my courage, Lord! I’ll bear the toil, endure the pain, supported by thy Word. Ray has been serving the Lord for many years in the UK and North America. 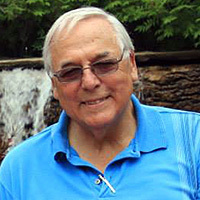 Ray was involved for over 35 years with New Tribes Mission until his retirement and continues to minister the Word of God at assemblies in Canada.